When we talk about high-quality guitars, a high price tag always comes to our minds. This is the case with all products, but it isn’t always necessarily true. 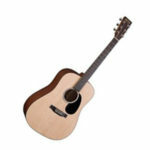 The Martin DRS2 is a very high-quality acoustic guitar that does not have an astronomical price. This means that you get great value in return for your money. Let me show you why. 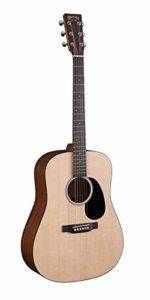 The Martin DRS2 is one of the most popular acoustic Martin guitars out there. It gained its popularity because of its reasonable price and because of the features it has to offer. It might be the most affordable full-sized guitar in Martin’s lineup. First of all, I want to say that this guitar has exceptional looks. When I went to review it in a local guitar store, it caught my eye. As soon as I took it in my hands, I felt that it is a very high quality and durable guitar. It has an all-wood construction, just like on the higher-end expensive guitars. It has a Solid Sitka Spruce top accompanied by solid mahogany back & sides. That is one of the main reasons why this guitar sounds so nice. Sitka Spruce is a very expensive material which is usually used on high-end guitars, and it gives the guitar the perfect amount of volume, tone and sound. The neck of this guitar is made of select hardwood. It lets you play the guitar easily and it makes the hand sliding easy. It has a 20-fret fingerboard. The neck of the DRS2 is one of the most comfortable guitar necks out there because the narrow neck profile will let you slide your hand up and down the neck easily. This means that you can play for hours without getting tired or uncomfortable, and that is what we expect from Martin guitars. If you’re an intermediate guitar player and you are looking for a guitar that you can play on small venues & gigs, then go with the Martin DRS2. 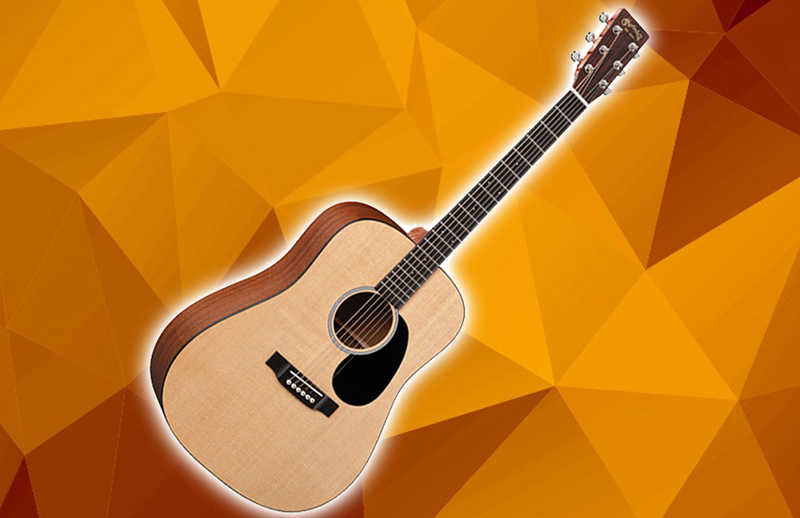 The Martin DRS2 is a guitar which is known for its bright, enthusiastic tonality. This makes it a fun guitar to play. This is great if you play gigs on bars because that will make the whole crowd hyped up and let them feel the music. No one likes a sad-sounding guitar while they are out to have fun, right? Overall, I would recommend the Martin DRS2 to any intermediate or professional guitar player. I wouldn’t recommend it to beginners because it’s a bit harder to play when compared to some of the beginner acoustic guitars. The value you get from this guitar is hard to beat. It’s basically a Martin guitar that comes with the price of a Fender guitar, and i mean that in a good way. If you’re starting to play the guitar professionally, then investing in the Martin DRS2 is one of the best things you can do to reward yourself for that choice. If you are still not convinced, head to your local guitar store and play it. I can guarantee you that you will love it.